"How can I make my return home from the hospital a teeny, tiny bit easier?" Let's face it; Anything that allows you to get more rest and enjoy more of your baby can feel like a mini-miracle. Try tackling these quick preparations while pregnant. You may be surprised at how simple they are. These easy tips will make your return home from the hospital much more comfortable, too. #1 - Make a list of important phone numbers that could help you solve any potential problems after the baby has arrived. Sometimes things don't exactly as planned, so why not arm yourself with a list of resources/phone numbers that can help you with the problem solving process? If you have other children, the contact info for your childcare provider. A local delivery service, in case you can't get out shopping. Program these numbers (and any other important ones) into your cell or make an old school list for your bulletin board and hospital bag. You'll thank yourself later! #2 - Bring some olive oil with you to the hospital. Apply it like a diaper cream for the first 5 days to help keep the meconium from sticking to baby's bottom. It will make your diaper changes that much easier! For more information on those first few diaper changes, see here. #3 - Consider a grocery delivery service. I used Eat Green Organics (and still do). They drop off a fresh food basket on your doorstep each week, reducing your need to go grocery shopping. It's an online service that delivers to Woodstock and they offer meat and other foods, too. Starting at $27 a box, it's worth every penny when you are feeling sleep deprived during those first few weeks. If you are really ambitious, consider preparing some meals in advance and freezing them so you just have to put dinner in the oven. I can't tell you how helpful this was for me! #4 - Run out and buy one of these. Including: bottled water/drinking boxes, a few receiving blankets, tissue, hand sanitizer, lipgloss, lanolin and some mints/snacks. If you choose to have your baby sleep in a basinet in your bedroom, you can comfort baby, and then comfort yourself back to sleep, all without getting out of bed. #6 - Get a mattress cover for your bed. It's not often discussed, but many moms (regardless of if you're nursing or not) experience breast leaking after the baby is born. Get yourself some breast pads and wear them at night. A mattress cover will help in case of any excessive nighttime leaking to ensure your bed stays dry. #7 - Have more than one diaper changing station. Especially if you have a 2 storey house. Use any container and fill it with extra diapers, a change bad, diaper cream, hand sanitizer and leave it where you'll be spending lots of time. 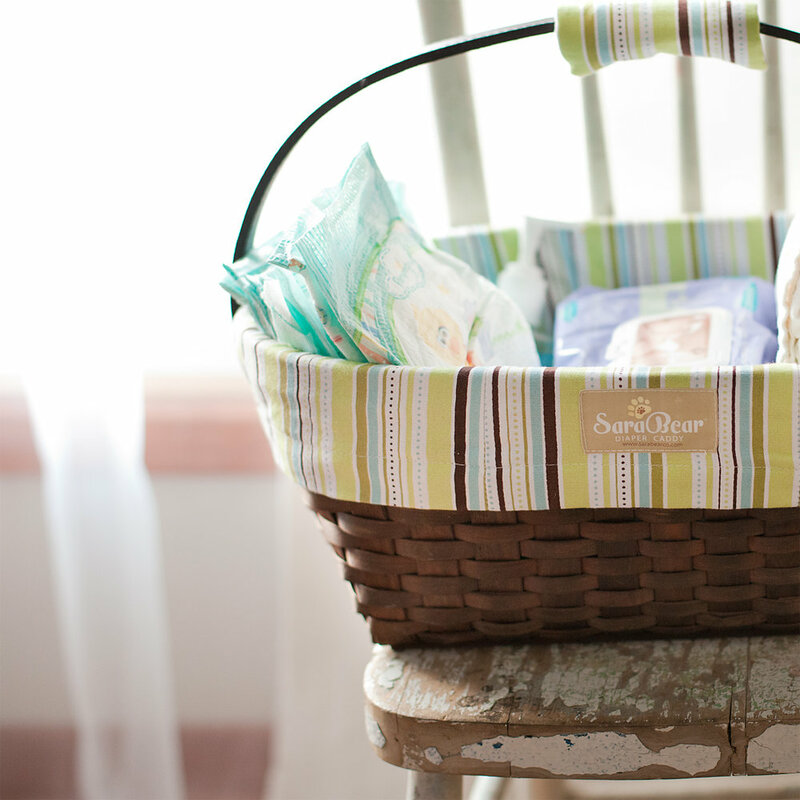 You'll thank yourself - especially when your newborn baby may require upwards of 12 diaper changes a day! #8 - Learn the 5s. Learn the 5s: Swaddle, side, shushing sounds, swinging, sucking. I use these techniques during newborn sessions all the time. Not everyone will find swaddling or the use of pacifiers a good idea for their family (for some babies these practices can disrupt breastfeeding), but I still encourage you to research these methods to have in your baby soothing arsenal! I always use white noise during my newborn sessions and it works like magic. Download this white noise app to your phone ahead of time in preparation for nights where baby needs some extra soothing. It's also nice to have a good selection of swaddling blankets on hand and ask your nurse to teach you how they swaddle (it's a little different than just bundling up your baby). If you feel this list will enrich another mamas life, pass it along!